Programming recipes can be in hot demand, especially programming cookbooks where you can find large collections of recipes. 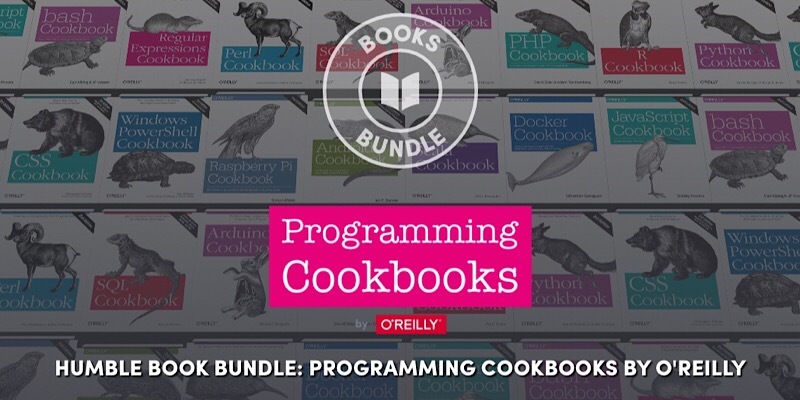 To get all the cookbooks you want, and possibly all you may ever need, look into purchasing the Humble Book Bundle – Programming Cookbooks by O’Reilly. Along with getting cookbooks for PHP, Android, Arduino, CSS, and many more, you can pay the amount you want and only get the programming cookbooks you really want. When you purchase the cookbooks you want, the price you pay will include some of the money going toward charity. The charities Humble Bundles support include Make-a-Wish, American Red Cross, Save the Children, and Code for America, and you can choose which charities you want to receive your money. So far Humble has raised an impressive $143,000,000. For as little as $1 you can get five programming cookbook titles. Among these is the Android Cookbook by O’Reilly. This second edition cookbook includes 230 tested recipes for building Android apps. Included are recipes for working with user interfaces, multi-touch gestures, location awareness, web services, and specific device features. You’ll learn how to set up the apps to be available on Google Play as well. If you pay $8 or more, you can unlock five more great titles by O’Reilly. One of these additional books is Raspberry Pi Cookbook. As the Raspberry Pi ecosystem grows, users have more questions regarding how to use Pi. This second edition cookbook will give you 240 hands-on recipes for running this DIY computer with Linux, using Python to program it, and hooking up sensors, motors, and other hardware, including Arduino and IoT. You only need to pay $15 or more to unlock an additional five books. One of these valued titles is Python Cookbook by O’Reilly. If you’re looking to learn how to write programs in Python 3 or even update older Python 2 code, this cookbook includes practical recipes written and tested with Python 3.3. It was created for experienced Python programmers who want to use modern tools and languages. Pay what you want and get this programming cookbook bundle worth $632.